Still, the $79,900 CLS 53 can’t hold a candle to the old CLS 63 S, which did the deed in 3.5 seconds. To get that kind of grunt from a mid-size Mercedes sedan (err… four-door coupe), you’ll need to spend at least $136,500 on the CLS 63's spiritual successor, the Mercedes-AMG GT 63 4-Door Coupe and its 577-hp twin-turbocharged 4.0-liter V8 engine, which rockets the haughty hatchback to the mile-a-minute mark in an estimated 3.3 seconds. The CLS 53, then, is no analog to the prior CLS 63. 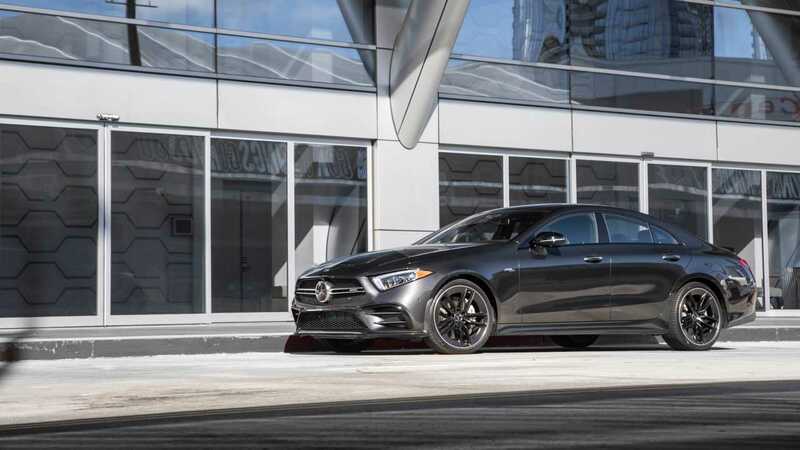 Instead, it brings the model into a new sub-segment that sees the slinky sedan push past the dynamic boundaries of the Benz-badged CLS 450, while stopping just short of the unhinged performance of its 63-badged forebear. It’s a tamer animal, and it certainly shows during my drive along the twisting tarmac that stretches across Northern California's Napa Valley wine region. If the CLS 63 was a German muscle car, then the CLS 53 is your archetypical modern European sports sedan. If the CLS 63 was a German muscle car, then the CLS 53 is your archetypical modern sports sedan. Powerful and dynamically capable, the CLS 53 trades driver engagement for numb controls and muted responses. Its variable-ratio steering lacks the feel and tactility to comfortably place the car through tighter turns, while the brakes show early signs of fade after a dozen or so miles of enthusiastic driving. Meanwhile, the well-insulated cabin that entombs the driver and passengers in near-silence at legal – and presumably extra-legal – speeds exacerbates the disconnect between car and driver. 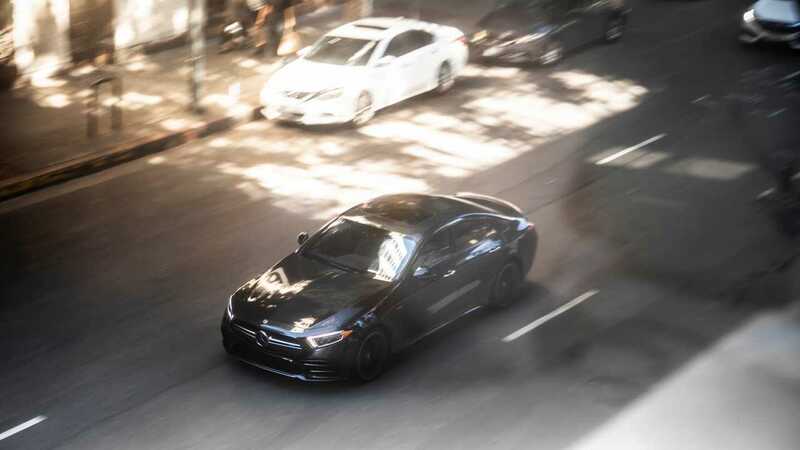 Even with the active exhaust system set to the louder Powerful setting (Balanced is the quieter, default setting), the tailpipes' angry bark on overrun and more pronounced rumble at lower revs barely makes its way into the passenger compartment. The 4,447-pound sedan instead finds its stride on the open road. Its vault-like construction, slop-free steering, and standard air suspension system make the CLS 53 an able highway companion, provided the suspension remains in the Comfort setting. The stiffer Sport and Sport+ modes’ rigid rides are absolutely punishing on all but the smoothest roads. Thanks to the powertrain’s 384 pound-feet of torque, which is available from as low as 1,800 rpm and holds steady until 5,800 rpm, and the nine-speed automatic transmission’s eagerness to drop down a gear or two at a moment’s notice, passing slower moving traffic is as simple as pinning the accelerator pedal to the floorboard and holding onto the thick-rimmed, three-spoke steering wheel. Manual control is available courtesy of a pair of responsive metal steering-wheel-mounted paddle shifters, while a pair of heavily bolstered front bucket seats offer long-haul comfort and support. All-wheel-drive comes standard and the setup sends as much as 50 percent of the powertrain's grunt forward or up to 100 percent rearward. With the assistance of Pirelli summer tires mounted on optional 20-inch wheels, the CLS 53 remains poised and predictable in most dynamic situations. Push the car toward its lateral limits, though, and the nose runs wide. 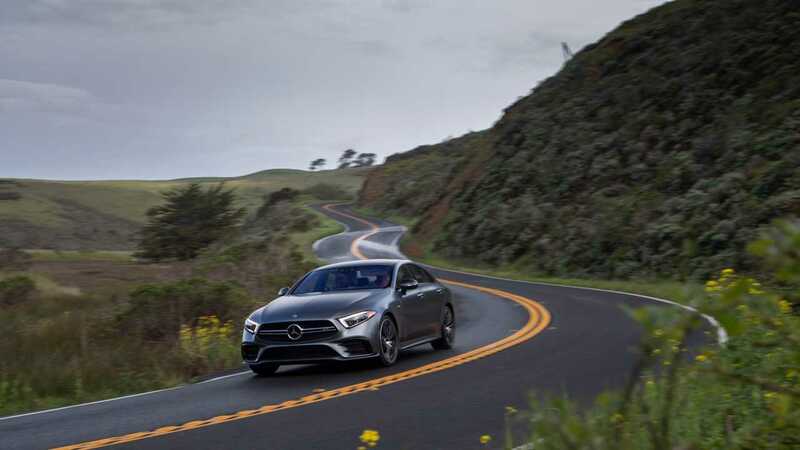 Follow that up with a boot of the accelerator pedal past the apex and the rear-end momentarily steps out before the all-wheel-drive system routes power to the front axle in an effort to curb the CLS 53’s tail-happy enthusiasm. 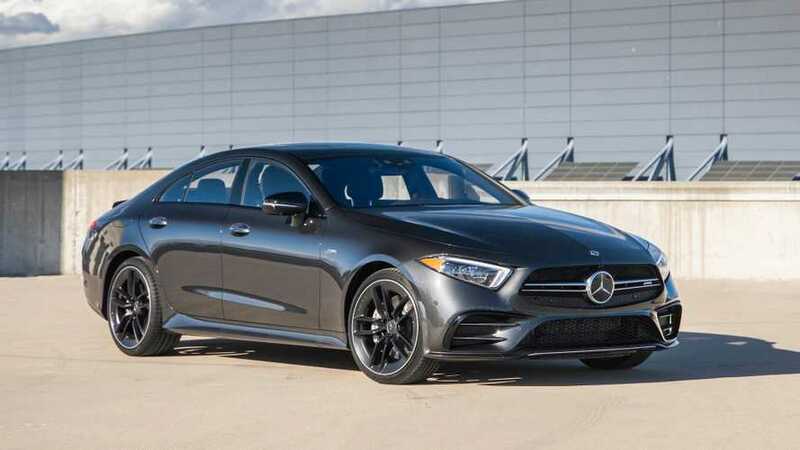 The 2019 Mercedes-AMG CLS 53 trades its eight-cylinder forebears’ brawn for technological superiority. Like the less expensive CLS 450, the low-slung CLS 53’s flaws include limited rear-seat headroom, a rather small 11.9-cubic-foot trunk (even the 12.4-inch shorter C-Class sedan’s trunk betters the CLS 53’s by 0.7 cubic foot), and the use of Mercedes’s older and clunkier COMAND infotainment system as opposed to the newer MBUX setup. Minor flies in an otherwise very good ointment. 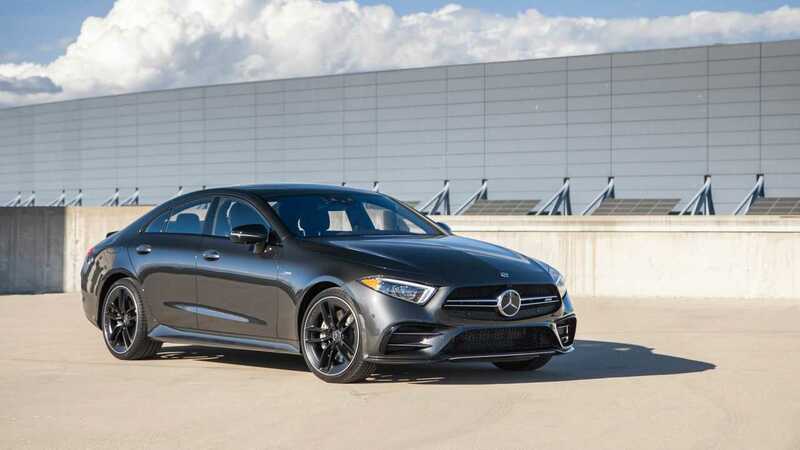 The 2019 Mercedes-AMG CLS 53 trades its eight-cylinder forebears’ brawn for technological superiority. Although the outcome of this dealing results in a less engaging vehicle, it also makes for a more comfortable and forgiving AMG-badged CLS. Enthusiasts won’t revere it (that’s what the more expensive GT 4-Door Coupe exists for), but style-conscious consumers will surely embrace the sportiest variant of the third-generation CLS-Class.